Gathering together on Sunday mornings unifies us as a family and keeps us walking together in the same direction towards God's eternal kingdom as we grow to be more like Jesus and use our lives for his glory and purpose. 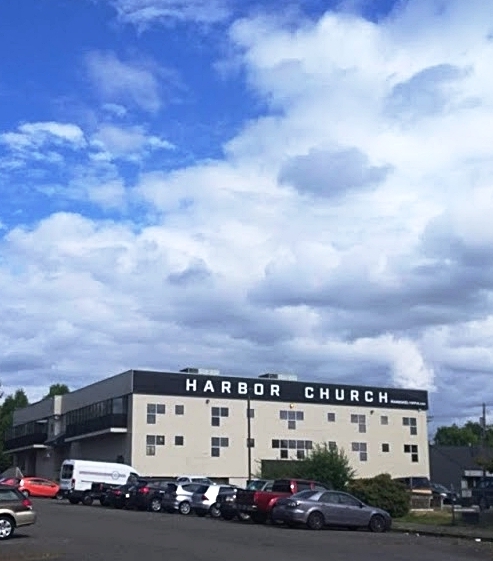 Sunday morning at Harbor Church you’ll find a body made up of a wide spectrum of people of various ages, races and abilities who gather together on Sundays to then scatter all over the greater Olympia region to worship God and live for his glory with the entirety of our lives. Whatever your background, and wherever you’re from, we’d love to have you join us. From I-5, take exit 105 and head towards the Port of Olympia. Stay on Plum Street, which turns into East Bay Drive. After the State Avenue intersection, turn right onto Olympia Avenue and you'll see our three story building on the right. Kids Ministry is available during both gatherings for ages 10 and under. Junior High (Grades 6th-8th) Ministry is available during the 11:00 AM gathering.